Our bachelor’s degrees provide registered radiologic technologists with skills in advanced radiologic sciences specialties, sonography, nuclear medicine and radiation therapy. If you already have certification in a specialized modality, we may award you credit hours upon review of your credentials to obtain a bachelor's degree. Read more about our Bachelor Completion program. After receiving your associate’s degree in radiologic technology, this is the next step for your career. You can become certified in more than one modality and receive college credit for each area. We offer several location and delivery options: WSU-Ogden, regional, independent study. Advanced Radiologic Sciences offers skills for medical imaging careers, along with technical, management and educational positions. Diagnostic Medical Sonography prepares you for a career as a sonographer, using ultrasound to produce images of organs, tissue and blood flow inside the body. Sonographers help detect heart disease and vascular disease and help perform fine-needle tissue guided biopsy procedures. Our Nuclear Medicine program trains you to become a nuclear medicine technologist, using sophisticated detectors interfaced with computerized imaging systems to create images of the patient’s body. As a student in Radiation Therapy, you'll learn to administer targeted doses of radiation to a patient’s body to treat cancer or other diseases. As the radiation strikes tissue, it produces highly energized ions that gradually shrink and destroy the nucleus of malignant tumor cells. Visit the American Society for Radiologic Technologies (ASRT) website for salary and career information. If you have already obtained certification and are seeking a bachelor’s degree, we may award you credit hours upon review of your credentials and will work with you to review general education and credit hour requirements needed to earn your BS. Credit hours awarded for certification are approved on an individual basis and determined by the documentation you provide. If you are certified in more than one modality, you may receive credit for each area. Contact our Independent Study Manager at 801-626-6619 for more information. If you are applying for an on-campus program, contact advisors in the Dr. Ezekiel R. Dumke College of Health Professions Admissions Advisement Office for info on eligibility, transfer credits, applications and deadlines. If you are applying for a regional program or have already obtained certification in any of our specialties and would like to complete a bachelor’s degree, contact our department secretary. 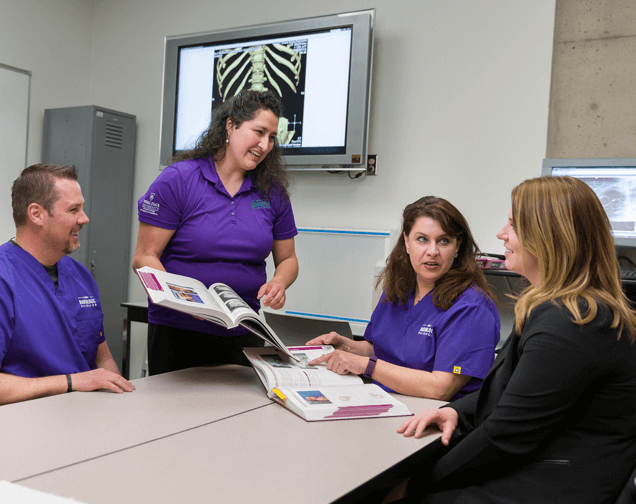 This option is only available to technologists who are already ARRT certified and working full-time in their modality, or for the non-clinical Advanced Radiologic Sciences program. This program will help you obtain a bachelor's degree.